I found these sweet Tote Bags a few days ago and could hardly wait till I had one in my hands and the time to write an article to share these with you. 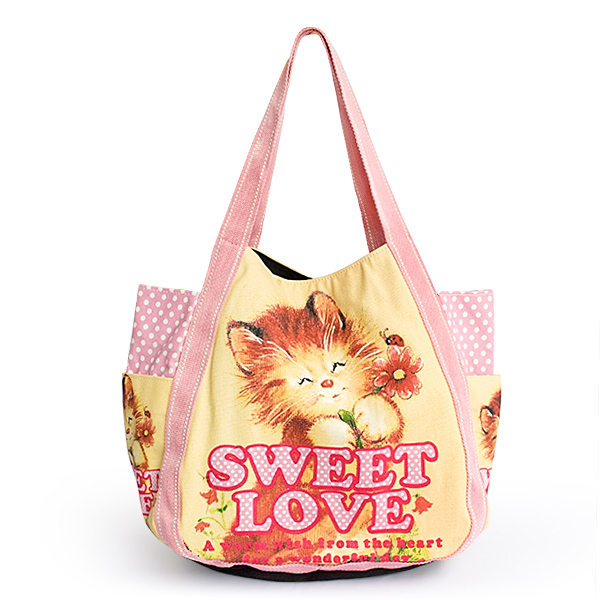 These are the sweetest ever Tote Bags in 100% Cotton and in nice large size. I’m a lady with lots of Tote Bags, and especially after being diagnosed with COPD. When Hubby and I decide to go anywhere, it’s like taking a new baby along. You know, extra bottles, toys, diapers. Enough tote bags to fill the entire trunk of any auto. Well, it’s almost the same way when we travel, and I mean travel to the grocery store. My big tote bag must hold most everything that would normally ride in the Stroller for baby and toddler. I wrote an earlier article about Mother’s Day and my own Mom. I wrote about all the things I’d like to give my Mom if she were still here. Things I know she would enjoy. My Mom passed away with Alzheimer’s in 2008. And she had little knowledge of herself or other immediate family members for almost 5 years before that during the slow progression of Alzheimer’s. In the United States and especially the Desert Southwest, Cinco de Mayo is a celebration as well as a tradition of our Mexican culture and heritage. There are many parties with mexican dancing, Mariachi Bands and much fun for all who celebrate this holiday. Though not a legal holiday (no banks or offices closed) it is still a fun time for all who celebrate the date of a Mexican break from European invaders.